If you’ve spent time by the ocean, you’ve probably seen the masses of barnacles, sponges, and other invertebrates that grow in abundance on submerged rocks, boats, docks, aquatic plants, and even the shells of snails and other marine life. 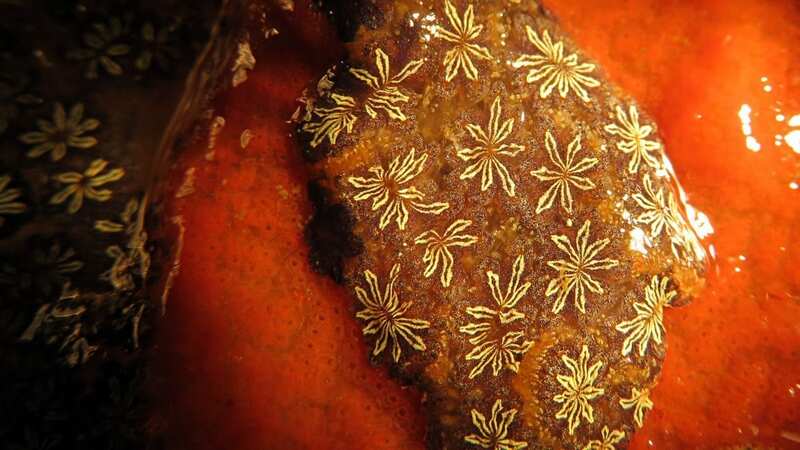 Kirstin Meyer investigates how those so-called biofouling communities emerge and evolve. 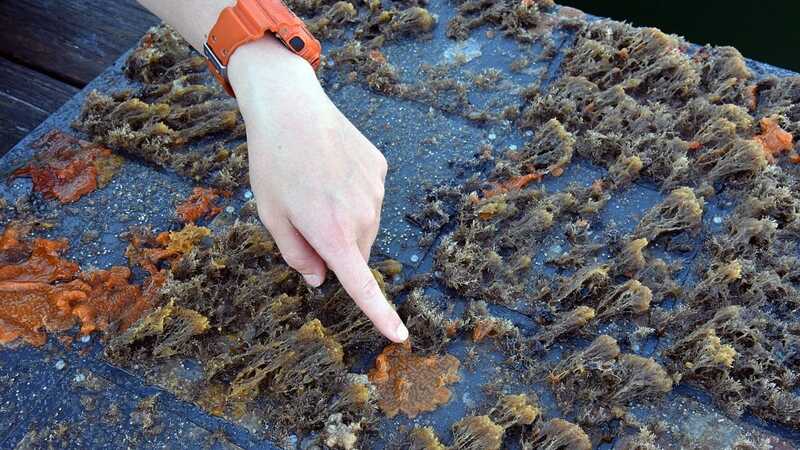 In the spring and summer of 2017, the Woods Hole Oceanographic Institution postdoctoral scholar hung plastic panels off the WHOI pier and in nearby Eel Pond in Woods Hole, Mass., to monitor what would grow on them. “I wanted to know not just what the communities look like after an indeterminate amount of time, but how they developed from the very beginning,” Meyer said. 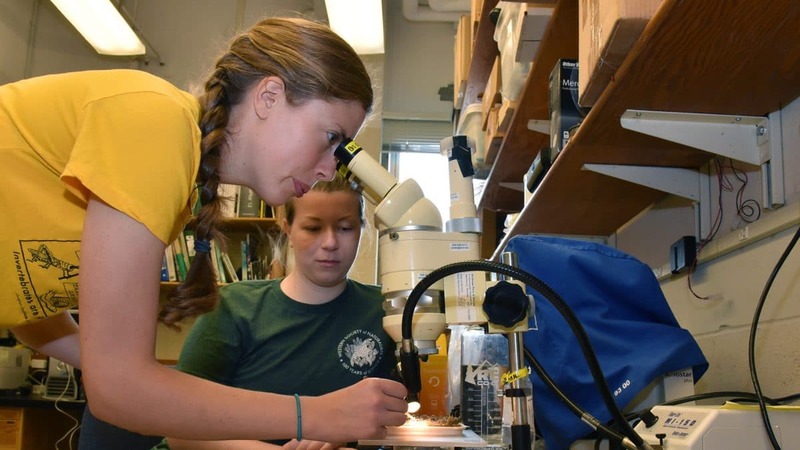 She’s particularly interested in the “mechanisms of succession” that drive the composition and ecology of coastal biofouling communities. Her preliminary results suggest that water temperature and competition among species primarily determine who survives and who doesn’t and how the assortment of species changes over the course of the seasons. 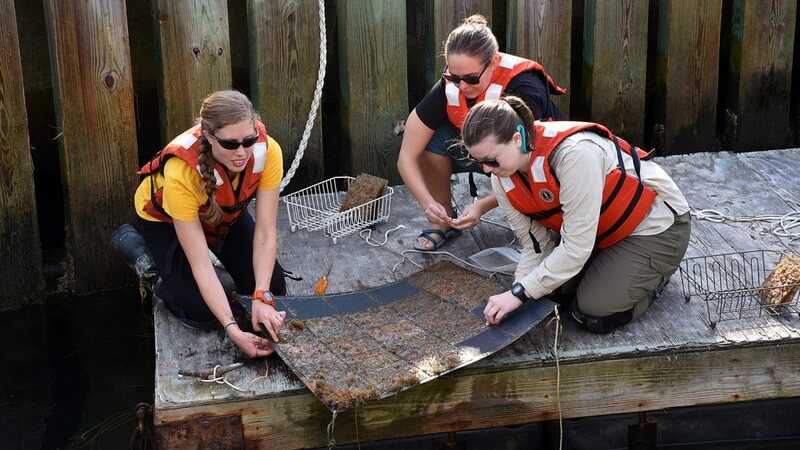 Meyer says her work could help prevent the spread of invasive species, which often dominate biofouling communities. While she was doing her field work, Meyer also had to contend with another kind of “invasive” species—summer tourists.